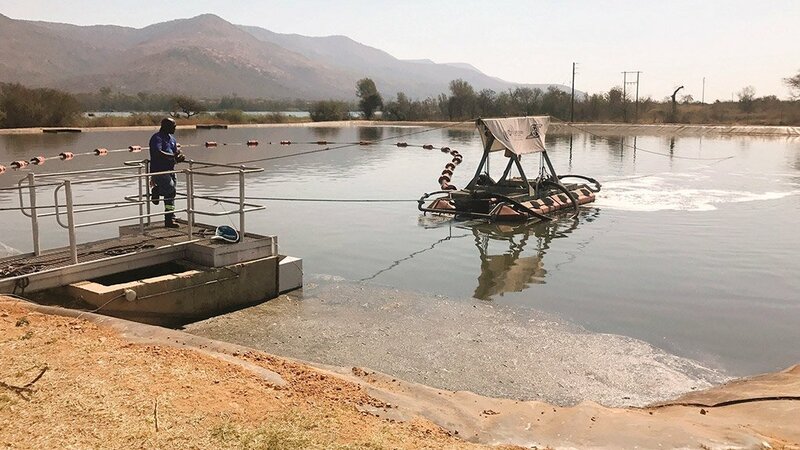 The new, high solids capacity SlurrySucker dredging unit from Integrated Pump Rental recently proved its mettle at a Limpopo municipality’s wastewater treatment plant. The company’s new SlurrySucker Mark II, with a vortex-type impeller in the slurry pump and a redesigned dredge head achieves up to about 50% solids concentration by volume. Vine says this significant especially when compared to the 30-40% concentration with the standard dredge head. The larger holes and the vortex-type impeller allow for larger solid objects like boots, gloves and hessian bags to pass through without blocking the system. Operated by just one person, the six metre long and three metre high unit agitates the sediment in single metre wide paths as it moves up and down the pond. Vine emphasises that the design of the SlurrySucker allows it to be used on plastic-lined dams without risking any damage to liners, as it uses water to agitate the solids, and does not have cutters that could damage the pond liner. 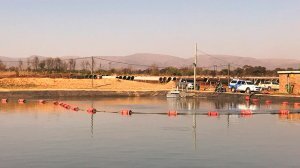 “This is particularly important from an environmental perspective, as wastewater could leak out if the liner was cut or damaged, and could contaminate groundwater,” Vine says. 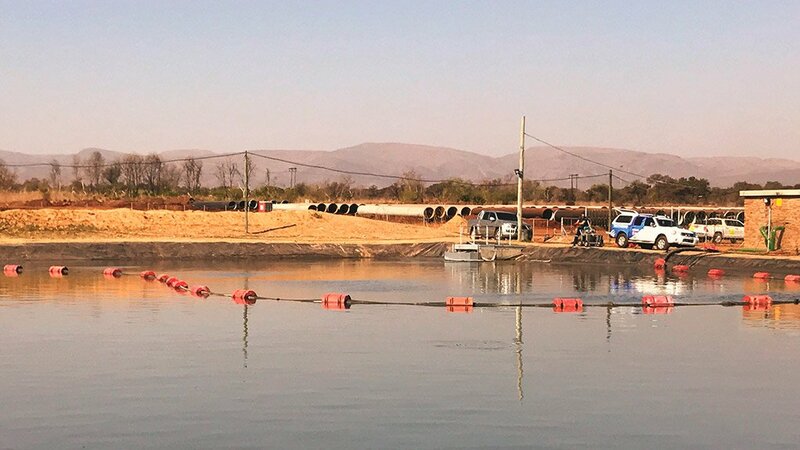 In addition to the turnkey service provided here, Integrated Pump Rental also offers contracts where the team will come to site every year to inspect and dredge the dams to ensure they are kept operational and efficient. Also, if the end-user has a more regular and ongoing need, the company can also sell the equipment to the customer and provide training so that the application of the equipment can be effective. Service levels are high on the SlurrySucker dredge units, as they are manufactured using locally produced components, and incorporate quality Grindex slurry and dewatering pumps. This means that spare parts are readily available and the expertise is on hand to maintain the equipment.